Let’s start with a common definition. The value in this context is a function of performance per dollar spent and is what Tour Edge wants consumers to consider with the “Pound for Pound, Nothing Else Comes Close” tagline. As such, the primary question isn’t how did Tour Edge create a driver which had both a positive-strokes gained value (meaning, overall performance was as good if not slightly better than the average of the 24 drivers tested) and ranked in the upper-half for total distance – it’s how did it do that and come to market at $299 – and of equal importance, why did it need to? There was a time, not long ago, when OEMs relied on a two-driver approach to satisfy the range of potential buyers. A higher priced flagship model alongside a more budget-friendly offering allowed companies to showcase both its best technology and a scaled-back version, without alienating the more price conscious golfer. For example, TaylorMade had its R-series (R7, R9, R11) to cover the top-end and paired it with a less expensive Burner, Burner SuperFast or RocketBallz option. Similarly, Callaway’s Xhot (2013) at $299 and Razr Fit Extreme at $399 served as its one-two punch. Eventually, the $300 driver became $340 and then $380 before finally going the way of “YOLO” and the landline. In 2019 there’s still a little price separation at the top (e.g., TaylorMade M5/M6), but as OEMs climbed the price ladder and moved away from tiered pricing, there was a near uniform absence of a $300 driver for the mass market. Tour Edge established a cult following with fairway woods in the mid-2000s, in part because it used more exotic materials (titanium faces) and more expensive manufacturing processes (combo brazing). Numerous tour players bagged Tour Edge fairway metals without any compensation, adding to the lore of the admittedly niche company. Brandt Snedeker used a CB4 model en route to winning the FedEx Cup and Tour Championship in 2012. Matt Kuchar, JB Holmes, Luke Donald, and Brian Gay all put Exotics by Tour Edge clubs in play, winning a combined ten times on the PGA Tour and making several Ryder Cup appearances. Though its drivers have historically offered solid performance, Tour Edge struggled to gain any meaningful ground (retail market share) with drivers priced at or near the mainline brands. So, while it could have built a $450-$500 driver and continued to bang its head against the wall of insanity over and over, it made more sense to try and win at $300 rather than fight for table scraps against Callaway, Ping, Titleist, Cobra, and TaylorMade. Price is at least half of the conversation when it comes to assessing how much value a product offers and by going with a $299 price point, Tour Edge suggests there are two primary buyers in the market. The first group is roughly 2 million in size and is a combination of early adopters (not price sensitive and tend to pre-order) and those who accept that driver prices have stagnated for some time and a price jump was overdue. OEMs are eager to capture as much of this pocket of golfers as possible because in part it signals to the rest of the market that whatever the new tech story is, it’s effective and worth purchasing. The other 4 million or so are, according to Tour Edge, core golfers (15 HCP or less) who flat out won’t fork over $500+ for the latest and greatest, but still want a full buffet of technology and innovation – or at least as much as the can get for a couple hundred bucks less than the other guys. 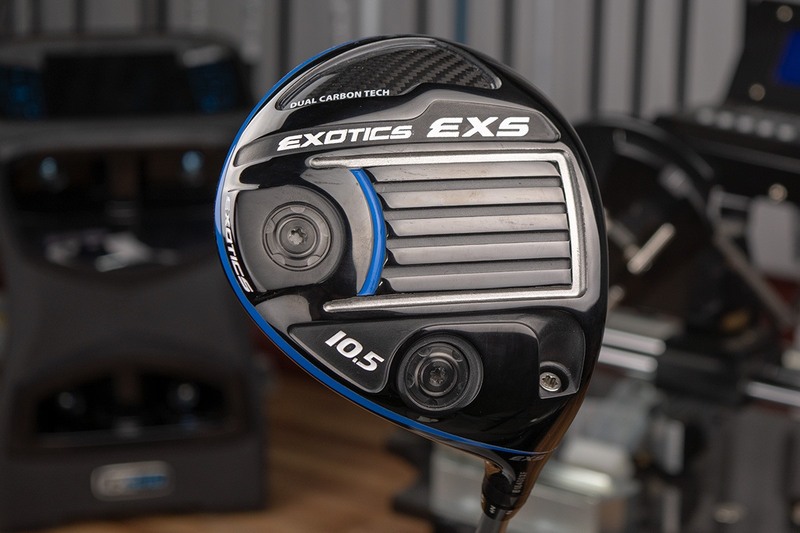 Citing statistics gathered from the 2019 MyGolfSpy Most Wanted driver test, taking retail cost and dividing it by average total distance, the EXS came out to $.78/yard. Drivers in the $450-$550 range had a cost per yard of $1.89-$2.20. It’s another way to try and quantify value, and while it’s not an all-encompassing statistic, it does give some indication as to the type of information which speaks to this core group of consumers. The takeaway here is while OEMs continue crafting an angle to sell consumers distance (Flash Face, Screw Face, Milled Face) a yard here or there on the course can be accompanied by a significant price hike. Take a couple of long steps across your living room and ask yourself this question: Is that space between worth $100? $200? $250? It’s a fair question even if it’s born from an unconventional metric. All of this is to say Tour Edge believes there’s a slew of ready and willing buyers who will eschew the category leaders who, by following PXG and others up the price ladder, left a significant void in the market – one which Tour Edge is more than happy to exploit. TaylorMade ($550), Titleist ($500), Callaway ($530), Ping ($500), Cobra ($450) and Wilson ($500) all essentially target a similar buyer. At $400, Mizuno’s ST190 is a solid performer, and thanks to Keith Mitchell, it too can claim a win on the PGA Tour this season. That said, at $299, the Tour Edge EXS enjoys a price-point monopoly. There isn’t another 2019 driver that offers the combination of performance and price within a $100 and yet, the question persists – how did Tour Edge get here? The Cliff’s Notes version is it built a $400 driver and sold it for $300. It’s a great strategy and all, but as a standalone product, the math doesn’t add up. The stock shaft is Mitsubishi’s Tensei CK Blue (retails aftermarket at $130) and the tech story reads much like that of drivers priced several hundred dollars more: carbon composite crown, adjustable weighting, variable face thickness and a slip-stream sole for enhanced aerodynamics. Given the costs of production and an out-the-door price of $299, it doesn’t offer much in the way of profit for retailers or Tour Edge. Golf retailers generally operate on thin margins to begin with, so Tour Edge first had to convince its major accounts that the pricing made sense. Regardless of cost, a product that doesn’t sell isn’t good for OEMs or retailers. To that end, Tour Edge painted a similar picture (albeit with likelier fancier graphics) showing evidence of that critical mass of golfers who, at least on paper, would flock to the EXS once it became clear just how much latent value it offers. Additionally, by differentiating to such a degree based on price, it simplifies the conversation in terms of what makes the EXS driver unique from higher priced options (the primary talking point is same performance, much lower price) and according to Tour Edge’s research, a $299 driver from Tour Edge wouldn’t cannibalize sales of market leaders Callaway and TaylorMade because each is ultimately selling to a different golfer. So, Tour Edge is treating the EXS as a bit of a loss-leader (not hugely different than the gallon of milk which goes on sale to get you in the grocery store). It’s taking a substantial hit on upfront margins on an admittedly underpriced driver with the hope that it will pull consumers into the brand and lead to additional sales of fairway woods and hybrids. 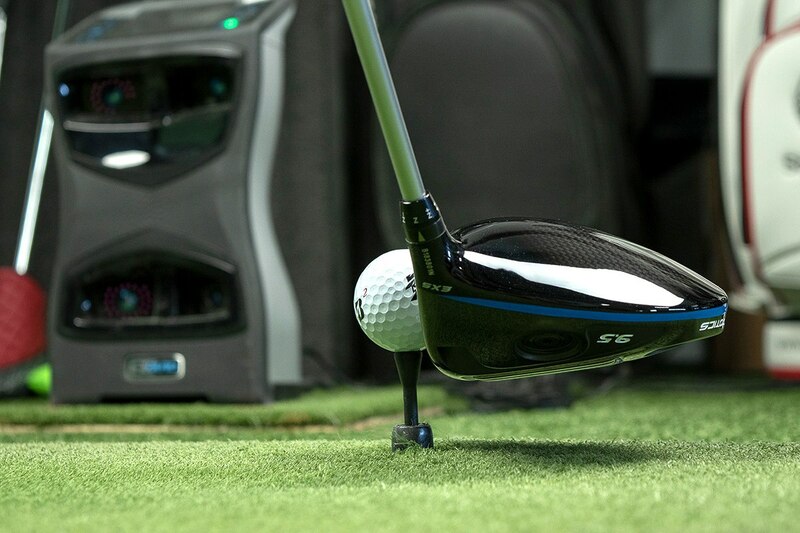 Thus far, EXS driver per unit sales have outpaced any other Tour Edge driver release. That’s to be expected at $299, but ancillary sales seem to imply the strategy is working as fairway woods and hybrids have experienced a fortuitous early-season bump as well. But this price point isn’t without risk and Tour Edge is aware that at $299 some consumers will feel it’s sending a mixed message as it rides the exceedingly fine line between affordable and cheap. It’s a departure for Tour Edge which has generally maintained premium pricing with its Exotics line of clubs. Prior to dropping the price by $50, the CBX and CBX T3 fairway woods retailed at $349. Even so, the current CBX 119 sits at the $299 – the same price as the EXS driver. For now, there’s roughly a $200 chasm between Tour Edge’s first-class driver and the going industry rate of $550+. So how will Tour Edge maintain class-leading value while avoiding the pitfalls associated with most inexpensive products? 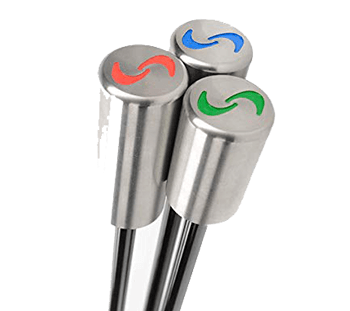 Tour Edge founder, David Glod, likes to say, “The proof is in the hit” and so long as Tour Edge can get in the fitting conversation at the major retailers, Glod is confident that the results will speak for themselves and ultimately ring the register in Tour Edge’s favor. The hope is this will create a grassroots, word-of-mouth, marketing campaign which keeps Tour Edge on the low-end of the mainstream rather than the top-end of economical also-rans. At the professional level, the EXS has been well received with no fewer than six PGA Tour Champions players putting it in play this season. The tour made up of players 50+ years old provides a compelling look at what the EXS has to offer at a level where there’s still plenty of prize money on the table. Because equipment sponsorships aren’t nearly as lucrative – and thus, players aren’t as pressured to have the latest model in play, there’s plenty of bags with equipment several generations old. Such was the case for Duffy Waldorf and his 2016 TaylorMade M2 driver. Some players are notorious tinkerers, while others wait for a club to break before thinking about replacing it, but there’s little incentive to make a switch unless there’s a clear and undeniable benefit. Waldorf wasn’t in the market for a new driver, but he already bagged Tour Edge’s CBX 119 fairway and hybrid, so more as a “hey, why not” he put the EXS through the paces. The data was clear. The EXS gave Waldorf seven additional yards of carry and more consistent ball speeds and launch conditions. The switch was a no-brainer, and as is the case for tour players, cost never factored into the decision. Tour Edge isn’t making any distance claims or trying to sell consumers on wonky physics or recycled engineering terms, but there’s plenty of evidence to suggest that in a year where just about every OEM turned up prices and churned out compelling stories on face technology and faster ball speeds, Tour Edge may have done more for the average consumer than any other OEM. Sometimes you get what you pay for. On rare occasions, you get a little more. I’ve played Tour Edge Fairway Metals for a long time, could never find a Tour Edge driver that matched the performance/feel of the fairway metal. The CB4 was one of my favorites as far as feel and I still hit the EX9 (440cc clubhead). I didn’t try any of the EX models under the EX9, did not like the EX10 and 460CC club head. I hit the newest Tour Edge stuff at a demo day and the CBX 119 Hybrid was a very nice club, better than the EX9 I currently have. The EXS Driver was also nice as far as look/feel, although I hadn’t hit a ball in four months so my swing was a bit rusty. Unfortunately I was not allowed to bring my clubs into the demo day with the way it was setup so could not say if the EXS outperformed the EX9 I currently hit. Last year I tried the CBX fairway metal, didn’t really like it as much as my EX9 as it had a shallower face. The new CBX 119 supposedly has a deeper face so that might be worth a go – I hit some nice ones at the demo day with the Mitsubishi shaft (didn’t like the Project X Hzrdus much). I just bought one. I’m very impressed. I doubt any of the 500+ drivers could beat this. REALLY. Just got fit for a new shaft for my PING G driver, the Mitsubishi Tensei CK Blue was the best shaft for my swing. I refuse to pay $500 for a new driver, but I would be all in at $300. To bad they could care less about the left handed golfer. As with most left-handed options (or the lack thereof), it’s a math problem. At $300, the margins are already razor thin, tooling costs for LH clubs alone with be difficult to amortize at the price point, and odds are they wouldn’t sell the requisite production run’s worth of heads. The company is already taking a margin hit on EXS, a left-handed offering would almost certainly shift it into the loss category. No Lefties…. They are DEAD to me! There just aren’t enough of you to matter from a profit perspective. You have the same issue in guitars, either you go high end custom or pick from the limited offerings of the biggest brands. You could also learn to play righty, I know several musicians who chose that or played upside down (which wouldn’t work for golf). Finally someone who cares about the average guy!!! I hope this pays off tenfold for them!!! A few decades ago my local range featured Tour Edge product. Fitting cart and all. Cutting to the chase performance and price speak for themselves. So do tour pro’s bagging them without compensation. Which says more than words possibly can. I’m getting a bit bored about all those driver tests that always promise more length, if I would follow this from the last 10 years my length would probatly by doubled by now. More important to me is the look in front of the ball, a custom shaft and keep the ball in play, nobody is winning on driver length but I understand this keeps an industry busy. My last Tour Exotics was the EX8. Last or near-last driver for Southpaws. Too bad! Yeah, They pretty much threw in the towel on left handed offerings except for the Hot Launch line. I have the EX9 sitting around somewhere & liked the EX8 better. Yeah but, using MyGolfSpy’s data, for only $250 more I can get an additional 4 yards. I live near PGA Superstore, and tried this driver as soon as it came out. It had to go head to head against my 2016 TaylorMade M2 which must be one of those rare Tour Quality slip through the cracks [email protected]’s because nothing has kept up with it, especially after I re-shafted it with a custom Fujikura Shaft instead of the stock model. Though the Tour Edge didn’t quite keep up, it came closer than many of the $500 drivers out there. Two of the EXS Drivers ended up on the used rack over the past few months, and at the prices offered, I couldn’t resist trying them again. The M2 still beat them both, but as I said, the M2 is still beating M’4’s, M6’s, Epics, etc…….THis time around I was able to narrow it down to the shaft, as I put the original OEM Shaft back on for the TaylorMade, and at that point the EXS started passing her up. 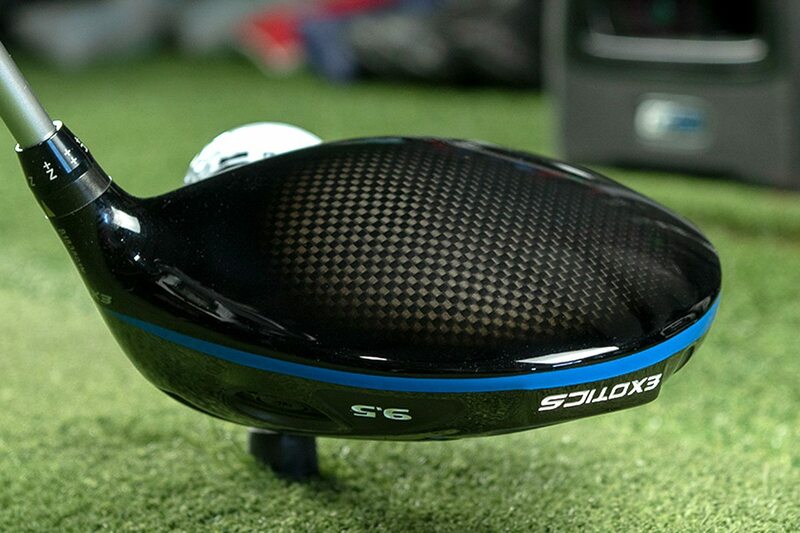 The EXS is a great driver for the money, and has incredibly good feel. I wish they offered a different shaft on her. I think the Tensei Blue is a good shaft, but it just doesn’t seem to fit my swing. If this head came with a shaft that fit my swing better, such as this Fuji, it could be a real moster. 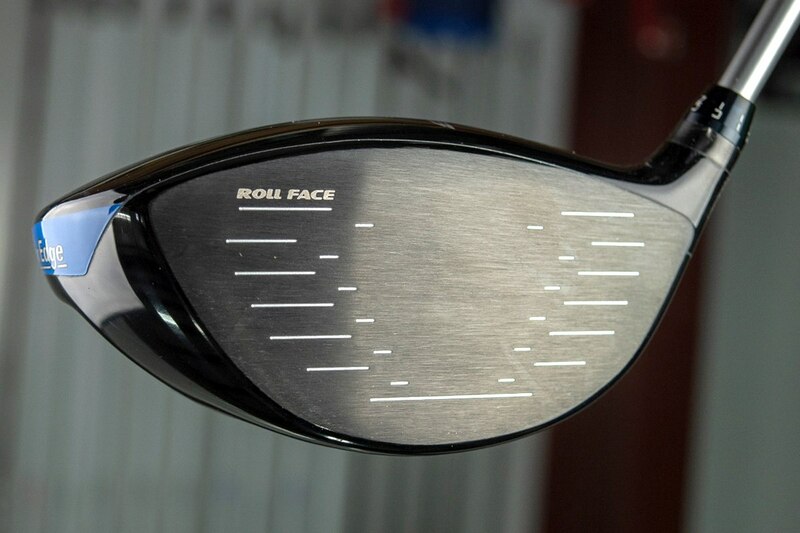 If you like this shaft…you will love this driver. I think it’s in your head , all high end drives go about the same distance, because they can’t make a driver go any farther but not once in your winded praise did you say about keeping it the fairway. Nothing personalt here Trolly McTroll Face, but actually a good shaft can make any driver go further. My fairways hit is roughly 66% on any given round, unless the shaft is a noodle, in which case I miss left, or a piece of rebar, in which case I miss right. I only included more in order to disseminate more information to people who might actually have an interest in this club. Winded?—Maybe. However- trolling is for fishermen so kindly go get poled and see how much farther things really can get hit. It might help since it sounds like all your drivers are coming up a bit short. The last sentence is all that matters, a fitting is the only way to tell if one club out performs another for an individual player. Great story. Years ago loved their fairway woods. Legendary. 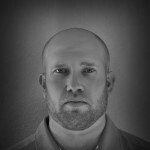 Interesting article on Tour Edge and the market, so thanks. What you hinted at but did not come out and really say is that Tour Edge has to use price as initial bait since it has such poor (perhaps by design) retail distribution. While some big box superstores carry Tour Edge, others like G Galaxy do not or rarely do. Without retail distribution, Tour Edge is reliant on price and a generous return policy if they want to be successful. Sort of like XXIO- which operates at the complete opposite end of the price spectrum. If I can’t touch it or try it out, then there has to be another hook to keep me interested. Great reviews and a price advantage just might do it. And most of the advertising budget which creates the interest and then the retail distribution need, begins with the tour players using the ‘big companies’ product. I love what Tour Edge is doing here and perhaps the other guys will begin to learn from this. Hopefully. Great article! I’ll now give this a try.